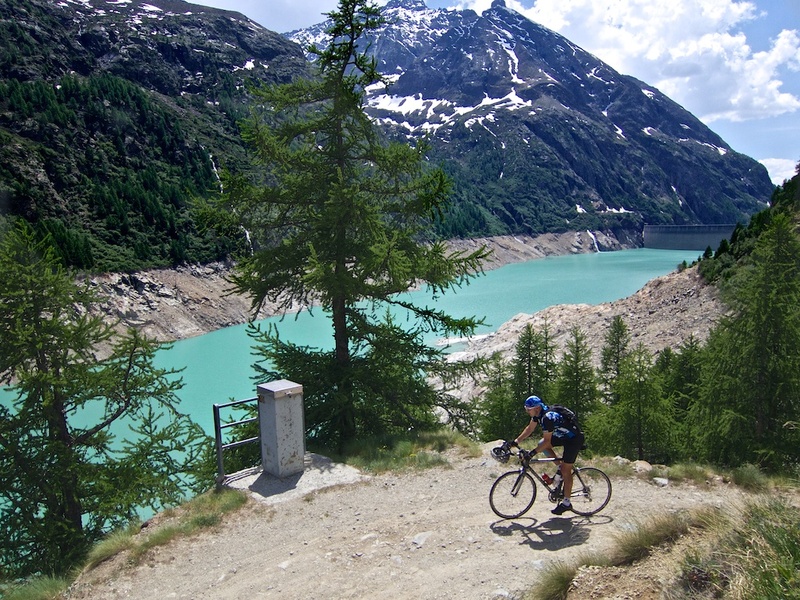 One of my favourite cycling hobbies is to ride up to high Alpine dams/lakes – see here. But this was my first ever ride to one in Italy. 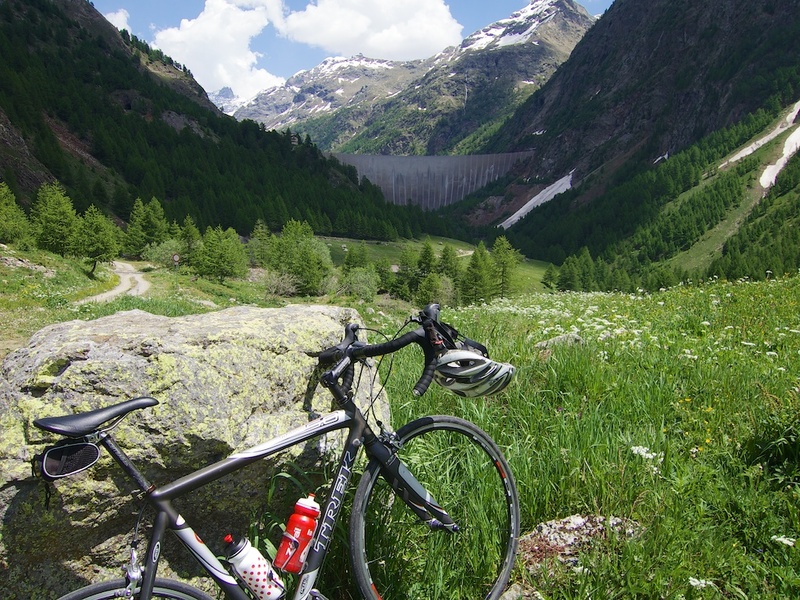 Starting from Aosta, this long ride starts in the same valley as the road to Col du Grand St. Bernard. 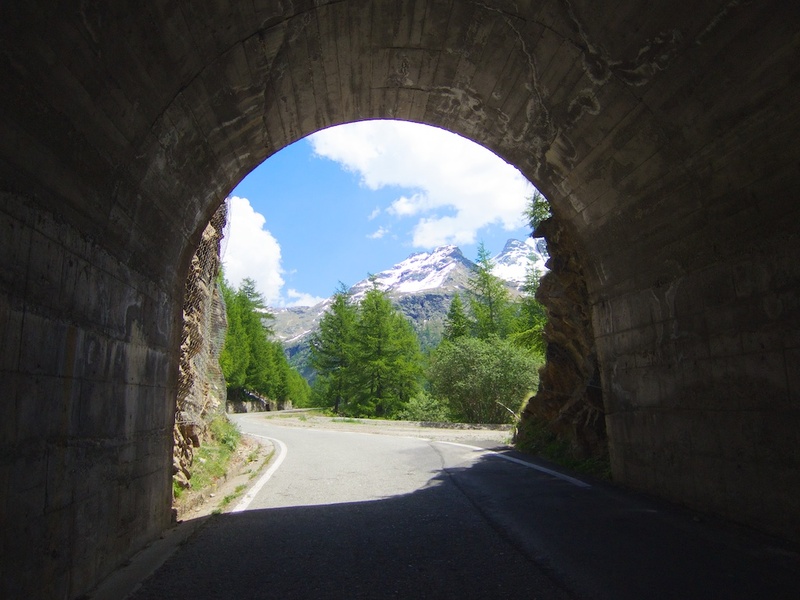 Note, my route started on the right side of the gorge when leaving Aosta — it is a much quieter stretch of road than the main road signed for the Grand St. Bernard. Most of the ride is on a fairly big road, but there is not much traffic — or many hairpins. It climbs slowly through lots of little villages with nice bespoke town signs that include altitude. The climb gets interesting as it heads up after the last village, Bionaz. Here the road is built into the side of the mountain as it climbs up a tighter valley. Soon the damn is visible far in the distance. The paved road ends at the dam. But there is a good quality gravel hiking trail / road that goes for several kilometres to the far end of this long, slim lake. Unfortunately, I had a road bike, but continued for half the lake then turned back, not wanting to tempt fate and get a flat tire. 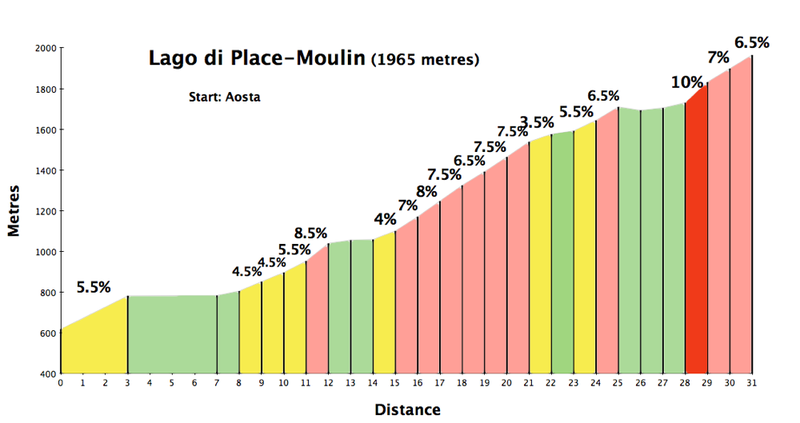 It’s not the most exciting climb, but interesting enough. But as usual, the dam and lake at the top are beautiful and well worth the visit. I assume, later in the year it will be even more beautiful as the lake fills. I wish I had of brought a different bike so I could more easily ride to the far end (and visit the restaurant there).